Rebecca and Justin are getting married September 26th. Their wedding is just around the corner. We just did their engagement photos over labor day weekend and I've been so slow to blog the sneak peek from their session. I am trying to catch up on all of my editing so I've been a bad blogger and have missed a lot of things to blog recently but I will get them all blogged just as soon as I have a chance! Rebecca and Justin are such a cute couple and they love one another so much. They were a joy to photograph and I cannot wait for their wedding. 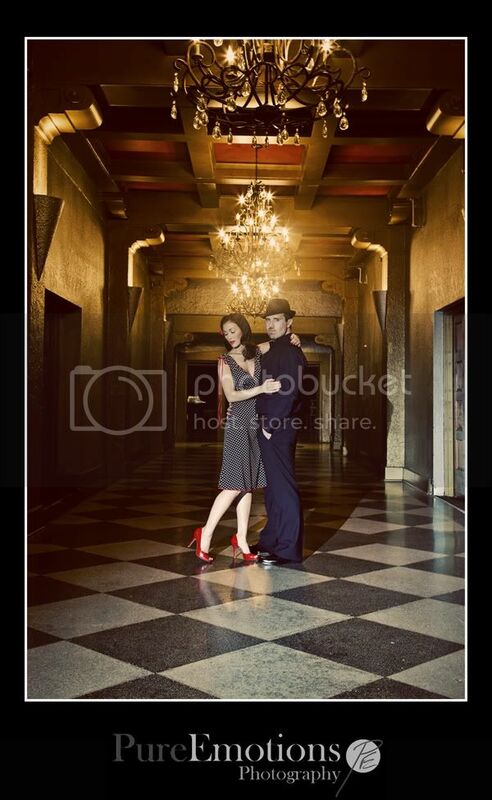 For their engagement session, I got us into the awesome Ritz Ybor and had them dress in 50's attire. We even hired an amazing hair and make up artist, Amanda Craft to do Rebeccas hair and make-up in a pin up 50's style. Rebecca got these ultra cute dresses for the shoot and some red shoes for some pop of color (per my request because I just LOVE color). Here are two sneak peek photos for now! !